A ruggedly refined roll-top backpack, the London holds your laptop, tablet and phone, plus enough clothes to get you through the weekend. Comfortable, padded backpack straps. Top zip closure. Alpha Bravo brings you rugged yet refined pieces that will take you from the office to the outdoors and beyond. Select styles come outfitted with a colorful TUMI Accents Kit luggage tag, monogram patch, handle wrap and zipper pull ties for an additional cost. 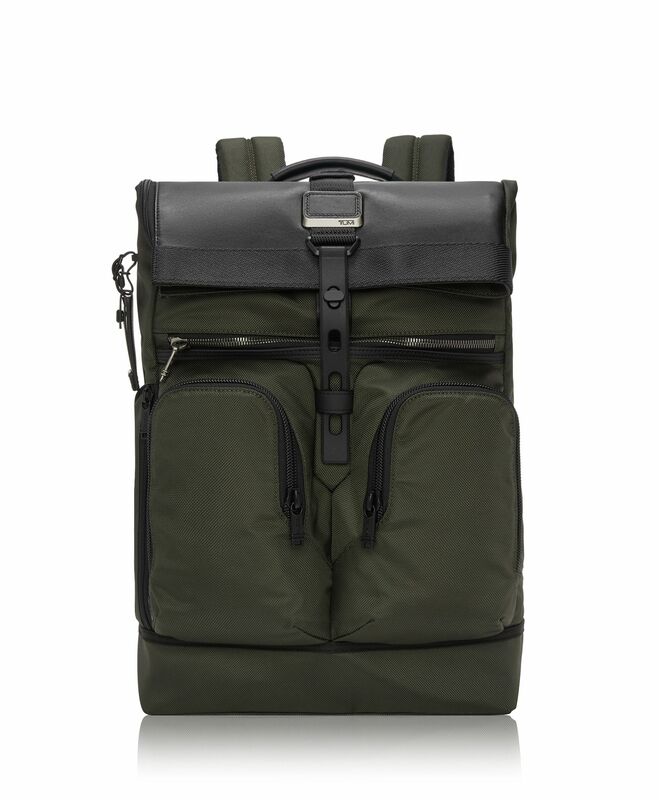 Made from ballistic nylon, which withstands the wear and tear of everyday use materials for some items may vary.